See picture 2 for current colors available! Choose yours at checkout. 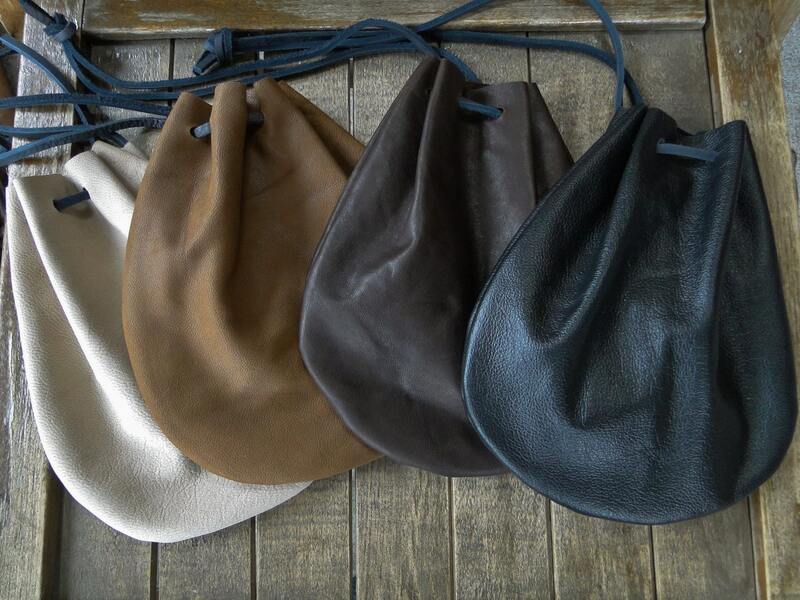 Trusty drawstring leather pouches, available in several colors! 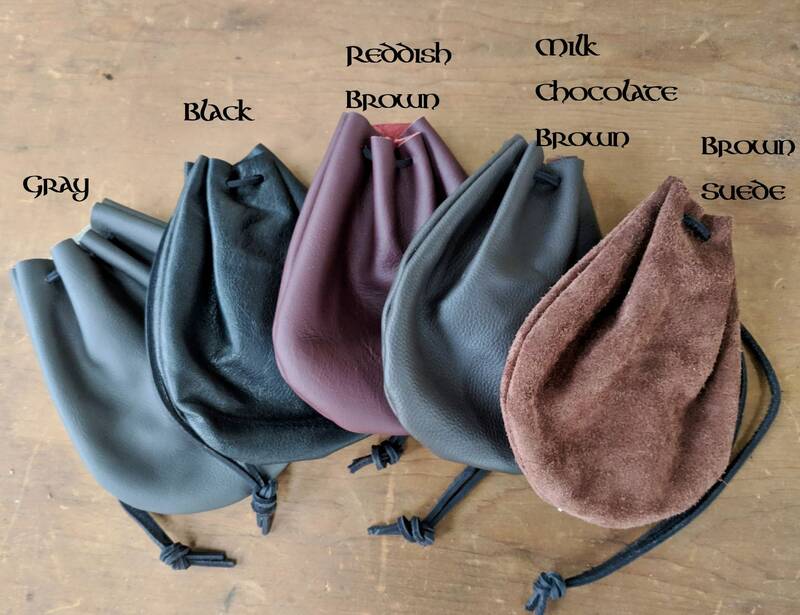 Smaller size, best for coins, dice, keys - able to hold some small smart phones - but small only. 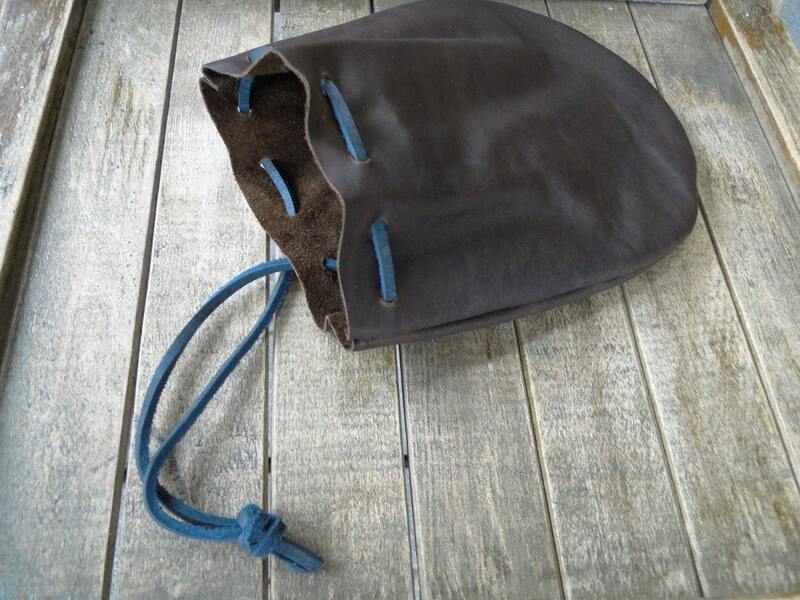 Sturdy leather lace keep the pouch securely closed - tuck inside a larger bag, or loop around belt and hang ready at your side. 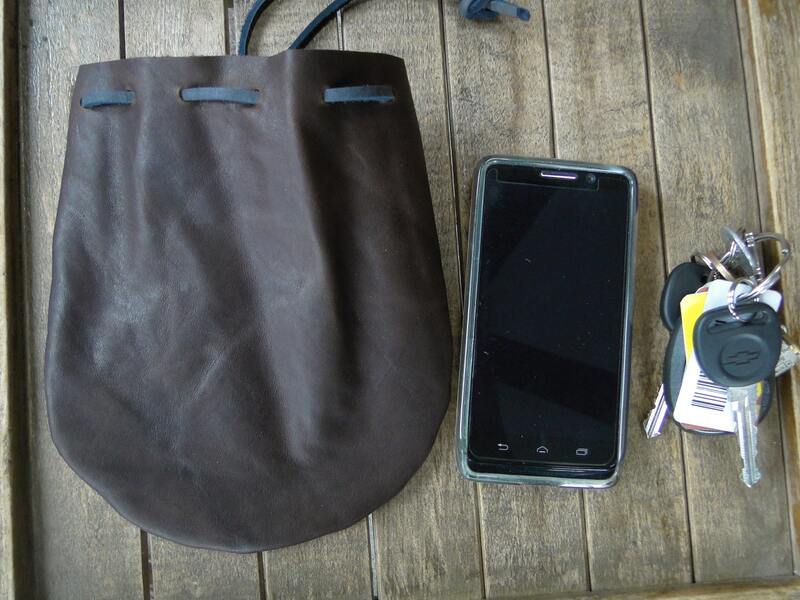 Pouch very well made, great quality leather. Highly recommend!! !